This book will inspire you and guide you to authentically navigate into the next chapter of your life. 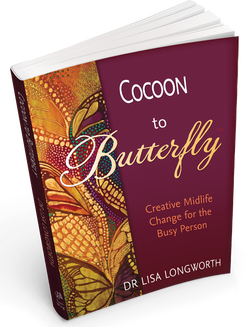 The Cocoon to Butterfly​TM process integrates psychology, creativity, and spirituality. It follows the natural metamorphosis of the butterfly that serves as a mirror for our own transformational change.